When I was a young boy just getting into British television, I had a serious misconception about both Yes Minister & Yes, Prime Minister. I had enjoyed such comedy classics as Benny Hill, Monty Python’s Flying Circus, Fawlty Towers, etc. 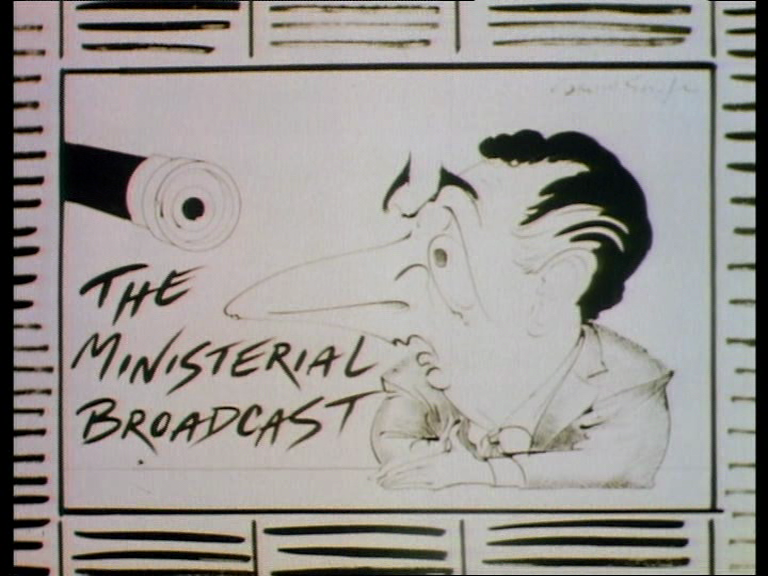 When Yes Minister started on the local PBS station, I figured since it had to do with British politics that this series would be stale and also have humour that was above my head. I had no interest in politics. It wasn’t until years later that when I actually sat down and watched Yes Minister and it’s follow up series Yes Minister that I realized that I had missed out on a treasure for many years. 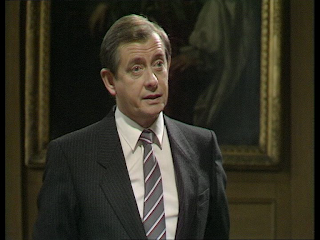 Little did I realize that I made the same mistake with Rumpole of the Bailey being put off that it was a program about a lawyer. I eventually found the errors of my ways. Yes Minister started out on BBC2 back in 1980. It was an immediate success and a great satire on the inner workings of government. It ran for 3 series and returned in 1984 with the Christmas special Party Games. 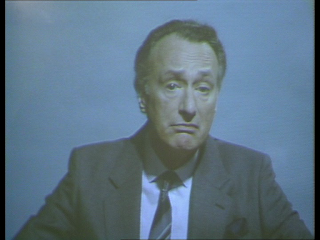 This was significant because at the end of the episode The Rt Hon Jim Hacker became Prime Minister. It seemed a fitting end to the series but there was more to come. 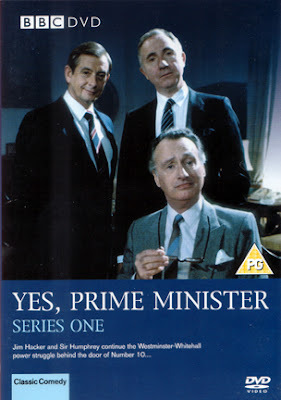 I don’t know about you but I have always considered Yes Minister and Yes, Prime Minister to be two separate series. Certainly it is a continuation from one to the other but certainly two distinct series. I bring this up because the folks who did the entry into Wikipedia listed it as one show running five series. I never thought about it this way so I did some looking around and was happy to see I am not losing my sanity. The BBC Sales Company Program Catalog that sells programs to the likes of PBS stations lists this as two separate series. But they would, wouldn’t they? After all, they want to make as much money as possible from everyone. So, I looked at what I consider to be the gold standard for all British television and that would be Kaleidoscope. Amongst many other amazing research tools they have created, they have these wonderful program guides. They have one for BBC drama, ITV drama, and Comedy (which covers both BBC & ITV programs). They cover all series including cast, airdates, episodes, archive status and what tape or film format they exist in. These are expensive guides but if you are seriously into British television, these are must haves. Someday I will write a whole article about them. 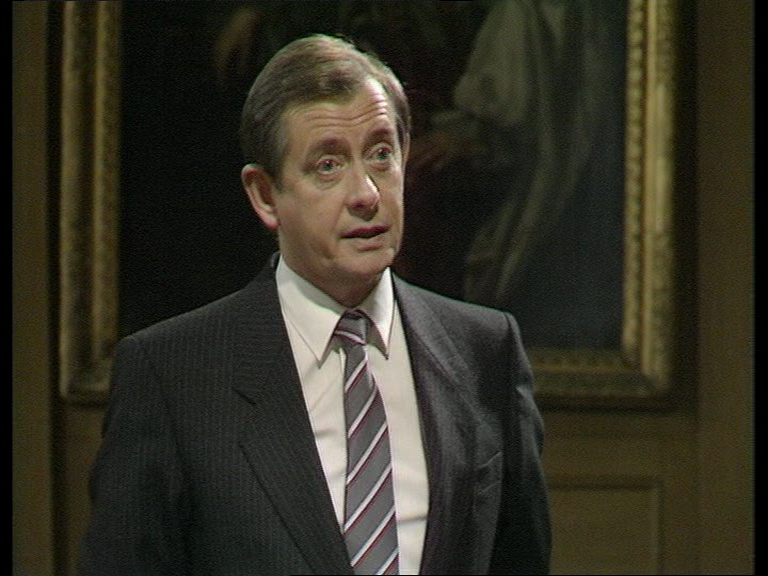 Anyway, they also list Yes Minister and Yes, Prime Minister as two separate series. What do you think? Regardless, both series are basically a sitcom chess match. Hacker is on one side of the board and Sir Humphrey Appleby on the other. Each one tries to out maneuver the other one into getting what they want. Hacker is often more for the people and to stay popular to the vote and Appleby to uphold the tradition of the civil servants but more importantly to keep the business of running government within his department. Nothing could be worse, in his mind, than a PM making a decision on his own! In the middle is poor Bernard Woolley. He is the PM’s Principle Private Secretary and also works for Sir Humphrey Appleby. He seems to be able to choose his allegiance depending on the situation. I make him sound like some creepy-back stabbing person but he couldn’t be further from this. He is a very gentle character who is often bullied by either Hacker or Appleby and often needs to make the decision of what side to be on. Unfortunately for him, this decision isn’t always the right one. I watched these episodes from the PAL DVD release. I am in the US but prefer to have all my British television DVDs in PAL and from the UK. I guess I am a PAL snob. Even the allure of more extras on the R1 NTSC set was not enough for me to get it. Plus unlike DVD in the US, PAL DVDs always go way down in price after a while. Of course when I just checked Amazon US & UK, the prices are comparable but when I originally got the DVDs, it was probably about 50% cheaper. I really cleaned up that way with Red Dwarf. 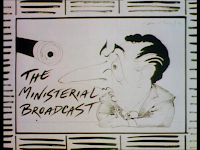 The picture quality between Yes Minister and Yes, Prime Minister is noticeable as by the time Yes, Prime Minister was being made, the BBC switched over to mastering all the programs on 1” videotape. 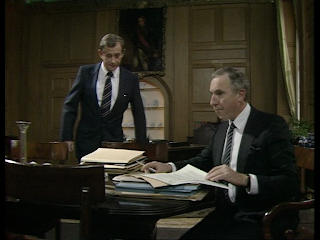 Yes Minister was made on 2” tape and is better quality. Yes, Prime Minister is certainly decent enough quality. Anyway, what about the actual episodes I watched? 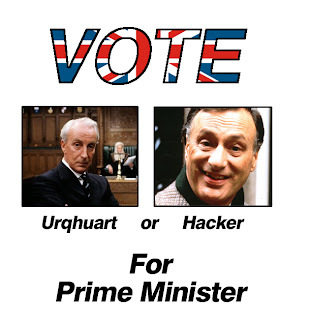 The first episode of Yes, Prime Minister was broadcast over a year since Party Games, Hacker has been in office for just days and is getting accustomed to being the head of the United Kingdom. The episode starts off with him inspecting a military establishment and talking to a general about the latest nuclear deterrent the Trident at a cost to the people of the UK of £15 billion. This and the realization of the decision to press the button was his alone was very troubling for Hacker. What is even more devastating for Hacker is that he does not have a cook! So while Cabinet Secretaries are in the staff cafeteria for lunch having a 3 course meal, he has nothing unless he wants to make it himself! Written by Anthony Jay and Jonathan Lynn, this series does an impeccable job of toting the line between comedy and what could be drama. Sometimes serious issues are raised such as Hacker’s realization as PM; he is responsible for pressing the button in a nuclear situation. But within the same episode, he is wants government to pay for his cook, he is more concerned about his first ministerial broadcast and his impending trip to the US to meet the President. Hacker can sometimes look like an imbecile. When he is caught off-guard, he reacts with shock and sometimes horror. He is sometimes incredibly naïve. The real gem of this series though is that he is none of those qualities. I like to think he is like the rest of us, if we were in those situations. Many of us would be taken aback by certain situations but would rebound with intelligent solutions. Hacker does just this when speaking with the Chief Scientific Advisor. The Chief Scientific Advisor sets Hacker through his paces by quizzing him on different nuclear scenarios with each one getting a more horrific looking response from Hacker. Would hacker be OK starting a nuclear war if necessary? This is until Hacker gets it. We see Hacker get it and he comes up with a plan that would not only get rid of spending all that money on Trident but also reintroduce conscription (having young men and women join the army at 18 for certain amount of time) and take care of a lot of Britain’s unemployment problems. It’s going to be unpopular or as Bernard puts it “courageous” but Hacker doesn’t back down. Until Appleby learns about this. 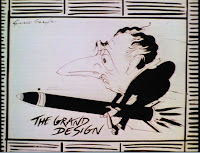 Sir Humphrey: "With Trident we could obliterate the whole of Eastern Europe." Jim Hacker: "I don't want to obliterate the whole of Eastern Europe." 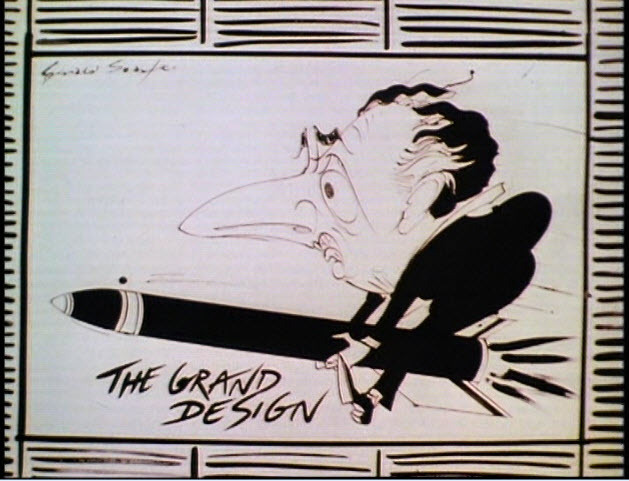 Sir Humphrey: "It's a deterrent." Jim Hacker: "It's a bluff. I probably wouldn't use it." Sir Humphrey: "Yes, but they don't know that you probably wouldn't." Jim Hacker: "They probably do." 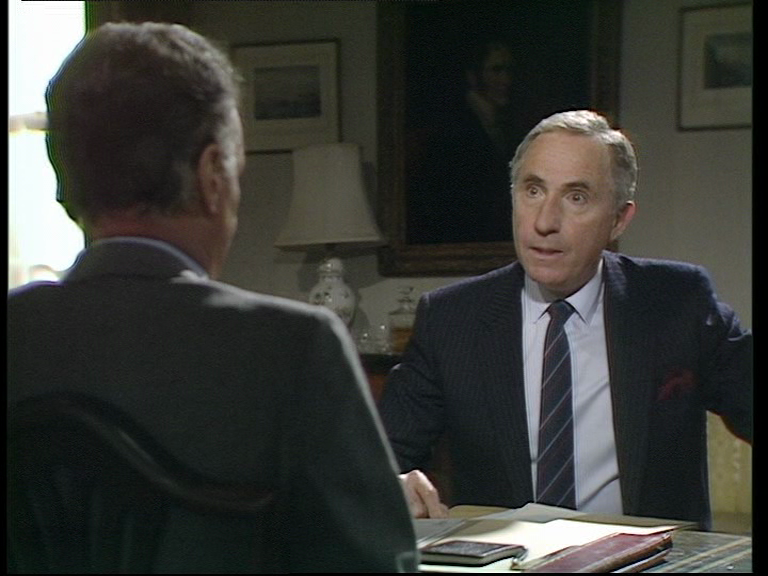 Sir Humphrey: "Yes, they probably know that you probably wouldn't. But they can't certainly know." Jim Hacker: "They probably certainly know that I probably wouldn't." Sir Humphrey: "Yes, but even though they probably certainly know that you probably wouldn't, they don't certainly know that, although you probably wouldn't, there is no probability that you certainly would." In the end Appleby is able to suspend Hacker from going too much further in his “Grand Design” until more research is done but Hacker is the first Prime Minister to ever get his own government funded cook. Appleby works his magic again to make Hacker look like he won the day where as he did exactly what Appleby wanted. The troubling thing about this episode is that there were a lot of jokes about how the military runs in the UK and US. How lazy they were and how companies that manufacture the bombs for the governments provided ill-fitting bombs for the missiles. They did because these companies knew that they could get away with it as the governments wanted to avoid any bad press or scandals. It’s all very funny but as with all satire, it always starts with some truth……. This is a more straight forward episode revolving around a very jet-lagged PM returning after his trip to the US to meet the President. Now Hacker needs to focus on his “Grand Design” get ditch trident and re-introduce conscription and also his first ministerial broadcast. A good portion of this episode deals with Hacker trying out different ways to look and act on in front of the camera as a practice run to his first broadcast. A great deal of time is devoted to this but not always funny. It drags a little bit for me and seems to me to be writing that is almost beneath Jay & Lynn’s ability. I’ve seen it in other series where we have an established character that we know reasonably well and are just trying to hash out what this character would look like if he said something in a silly voice, or an angry voice or with a funny smile on his face, etc. I think the worse and least funny example of this was in the Family Guy episode, Road to Multiverse. It’s just, let’s see what Brian and Stewie look like in 3D, now if they were Disney Characters, now if they were Claymation, etc. To me, it’s not funny for shows that are known for intelligent humour. The above is a prime example of why the series is so good. Sir Appleby in particular. It also does a tremendous job of letting us know (at least in the world of Yes, Prime Minister) that the public comes second after government. It is almost like the government is in a world of its own only to be interrupted occasionally by the public who only wants stuff and gets in the way. It’s like government could run so much smoother if it didn’t really need to take care of the public. I don’t think this series is as strong as Yes Minister. To me, it was more interesting when Hacker was a cog in the machine and not running it. That being said, when given the choice with a lot of stuff that is on the air right now, I would always go for watching Yes, Prime Minister. Next Week: In my own personal viewing of Doctor Who from the beginning of the series again, I am about to get to Marco Polo which is the first missing Doctor Who story. I wanted to write something about my feelings on this subject, include some of my theories and why, to me, this is the most interesting aspect of Doctor Who. Welcome back Greg, it's good to see you writing these again. 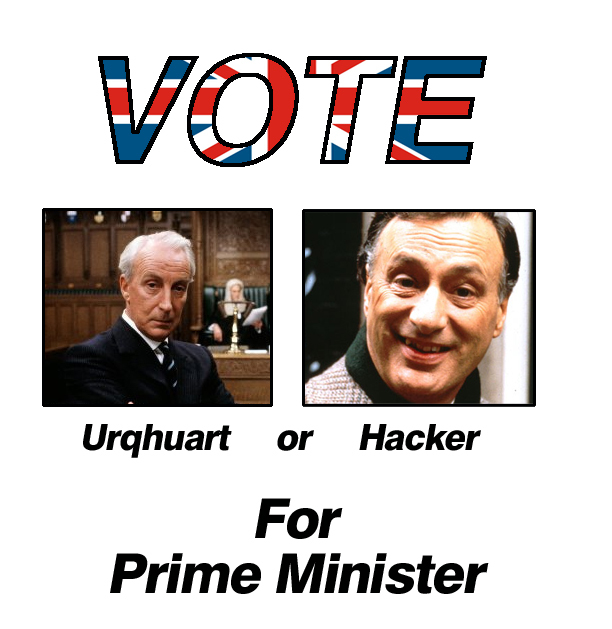 Like you I have always considered Yes, Minister and Yes, Prime Minister to be seperate. Still, I cannot bring myself to watch YPM without first going through YM. It simply is the order of things. I agree. I do need the act of randomness to watch Yes, Prime Minister as if I have a choice, I will always go for Yes, Minister first. I just prefer it. Yes, Prime Minister is still amazing. I think I was never a real big fan of the Dorothy Wainwright character and luckily she was not in these. Good to see you back up Greg. It has been a little over a year since I posted in my blog as well. I have always looked at it as one show myself for some reason not sure why, but the actors in this show are simply fantastic. I do agree with your suggestion of buying R2 releases vs US releases. Last week I picked up the Complete Sherlock Holmes Brett era for 27.48 and the complete Ab Fab for 13.33 since my sister stole my Ab Fab to where I would of easiy of spent 140.00 here on the Holmes and 70.00 here on the Ab Fab. it is just amazing how far down they mark the sets in the Uk after about 6 months out on the market. Thanks for the comments. I am putting the finishing touches on my Missing Episodes of Doctor Who article. The Complete Ab Fab annoys me. I have all the single PAL DVD releases for that series with the exception og White Box which was never released in the UK. It is in the complete set but still not sold separately. It looks like I will need to buy a R1 NTSC DVD of this. Slightly annoying. Will you ever go back to your blog? I am definately going to start back up shortly since I finally have the time again to average one a week now that the transition of the move from Tacoma to Phoenix is over and I am finally settled in and back in college. Yeah I see what you mean by that Ab Fab set, but to be honest Saunders just announce she is filming three more specials for Ab Fab next year and possibly a feature film you may want to wait on that set. I was more annoyed with The Complete Are You Being Served? Set from 2/E than any other set out there. It was released September 2010 when the recoloured pilot was aired January 2010 along with the Story of Are You Being Served. I'm unsure as to why at least the pilot restored wasn't released onto the bonus disc of the set. It will be interesting to see what happens. White Box is an SD production where as the new specials will be HD. Somehow I think they will want to release those specials very separately from the old episodes. I hope these new specials are good.